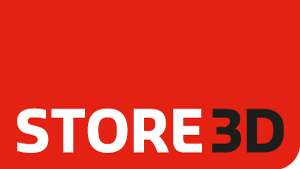 In 2016, Store3D constructed its new company building under own management. It has become a nursery for revolutionary new ideas in retail. An inspiring and warm work environment in which the staff work in customer teams, closely following the latest trends and developments in retail and architectural techniques. An office (or more aptly a home) where people enjoy working on various projects every day and where customers can be welcomed properly. Last year, Jan van Hest, the Managing Director of Store3D, transformed his dream into reality with the completion of the company’s new head office in Nieuwkuijk. It all started 15 years ago with the foundation of Store3D – a company that endeavours to fulfil retailers’ wishes and requirements in the area of concept development and realisation. Store3D’s organic growth in recent years sparked the idea of creating a place to call home. We couldn’t simply choose any place at random… a number of wishes (or demands!) had to be met: our new building had to be spacious, an architectural tour de force, energy-neutral, sustainable and constructed on the basis of the latest insights in the industry. Where did all these wishes come from? From Canada, where Jan gained inspiration after travelling through the country several times. Because design, creation and construction is part of Store3D’s DNA, we naturally wanted to have a say in the development and realisation process. Each step was taken under own management. Sometimes, this led to fresh challenges that had to be overcome. For example, the desired round shape of the building ‘hampered’ the simple, light and smart timber-frame construction so typical of Canadian architecture. The round shape was, however, essential for making the building stand out and optimally utilising the plot of land in the prime waterside location. Furthermore, Jan has never been one to follow the herd and a straightforward design just did not appeal to him. The building was completed with only a basic interior theme, which we will keep on modifying as time goes by in line with changing insights. As a company, we want to experience and constantly renew our workplace. In our line of work, we obviously have to stay abreast of everything that’s going on in the world of retail. We also want to keep on innovating and we have, for example, a retail mock-up area where we can surprise our customers by showing them and letting them experience all the latest retail trends. It’s only logical that this space will remain continually under construction!